There is evidence suggesting that providing adaptive assistance to collaborative interactions might be a good way of improving the effectiveness of collaborative activities. 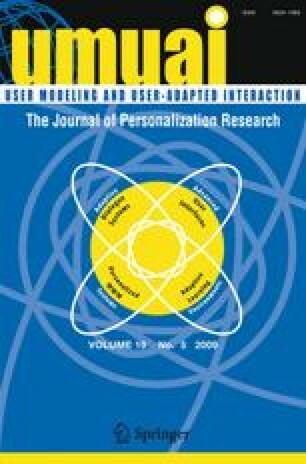 In this paper, we introduce the Collaborative Tutoring Research Lab (CTRL), a research-oriented framework for adaptive collaborative learning support that enables researchers to combine different types of adaptive support, particularly by using domain-specific models as input to domain-general components in order to create more complex tutoring functionality. Additionally, the framework allows researchers to implement comparison conditions by making it easier to vary single factors of the adaptive intervention. We evaluated CTRL by designing adaptive and fixed support for a peer tutoring setting, and instantiating the framework using those two collaborative scenarios and an individual tutoring scenario. As part of the implementation, we integrated pre-existing components from the Cognitive Tutor Algebra (CTA) with custom-built components. The three conditions were then compared in a controlled classroom study, and the results helped us to contribute to learning sciences research in peer tutoring. CTRL can be generalized to other collaborative scenarios, but the ease of implementation relates to the complexity of the existing components used. CTRL as a framework has yielded a full implementation of an adaptive support system and a controlled evaluation in the classroom.